The golfing facility at Altadena consists of an eighteen hole, 6045 yard, par 71, challenging golf course sitting on approximately 118 acres of land bordering the Cahaba River. In April 1999 all 18 greens were rebuilt from the ground up with the new Tift Eagle Bermuda grass. In addition to the new greens, AVCC has undertaken a vigorous landscaping project throughout the course making it better and more beautiful than ever. AVCC offers a full service golf pro-shop open Tuesday thru Sunday. The pro-shop offers such services as club storage, shoe cleaning, equipment repair and golf lessons. Please call 205-967-5324 for current rates. 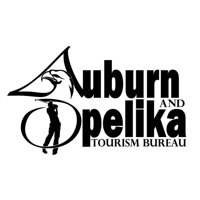 Call 205-967-5324 for rates and tee times. Contact Altadena Valley Country Club at 205-967-5324 for more information and details on holding a golf outing at the course. Contact Altadena Valley Country Club at 205-967-5324. Contact Altadena Valley Country Club at 205-967-5324 for onsite or nearby dining options. This profile was last updated on 07/05/2018 and has been viewed 9,008 times.